April Walleyes are larger, but often fewer in numbers. Great Yellow Perch fishing. Weather plays an important role this time of year. May, June, July My favorite time to fish! Walleye and Perch fishing are at their best. Weather is warm and sunny with great lake conditions. August Yellow Perch fishing is at its best! Walleye fishing generally slower because of the warm lake temperatures. September, October Walleye fishing picks up again and Perch fishing is on fire! Cooler for lunches and drinks (Beer is fine, but no hard liquor) Thank you! 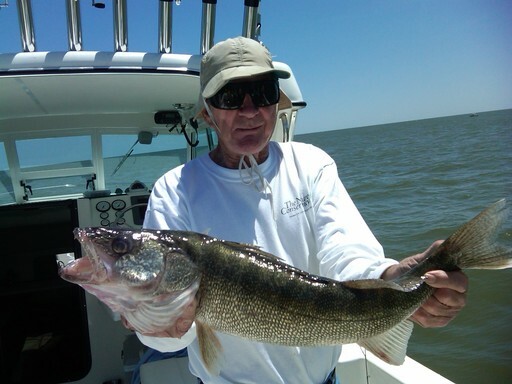 Located in the heart of the best fishing on the Western and Central Basins of Lake Erie.